Honda made several changes to the 2018 CR-V, and they have plans to incorporate many new features and upgrades to their 2020 model. This has resulted in very few changes to their 2019 version other than a new paint color being offered. Platinum Pearl White has replaced White Diamond Pearl among the 10 color options available. One of the previous trim levels has been dropped due to the ever increasing use of smartphones. The previous EX-L trim level included navigation, but in 2019, the Touring trim level will be your option when it comes to an in-car navigation system. Which are the Available Features for 2019? The 2019 CR-V comes in four trim levels. This includes the LX, EX, EX-L, and the Touring. 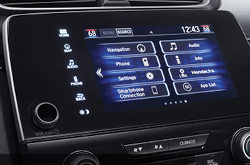 The base trim level is the LX with a 2.4 liter engine and includes hands-free phone connectivity, a 5.0 inch infotainment touchscreen, LED daytime running lights, a rearview camera, and a USB port. All other trims are powered by a 1.5 liter turbo-four engine, a hands free power liftgate, leather trimmed upholstery, a nine speaker premium audio system, LED headlights, and rain-sensing windshield wipers. In addition, the EX trim level includes a quick entry system, blind-spot monitoring with cross traffic alert, heated front seats, a driver attention monitor, a 7.0 inch infotainment touchscreen, Android Auto, and Apple CarPlay. The base LX includes a 184 horsepower 2.4 engine while the other trim levels have a 190 horsepower 1.5 liter turbo-four. Both engines are available in front-wheel or all-wheel drive options. With a curb weight of 3,307 in the two-wheel drive version to 3,421 pounds in the all-wheel drive option, the CR-V has a towing capacity of 1,500 pounds. 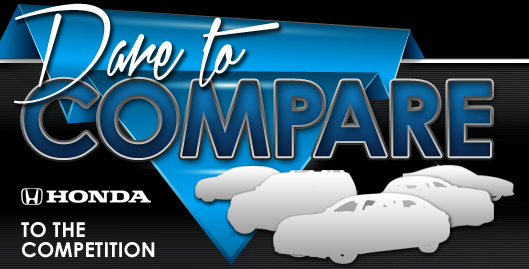 With this level of performance, you should visit Showcase Honda today to take a test drive and see why this vehicle is great for many different scenarios. Passengers and the driver are well protected in the 2019 Honda CR-V with front-impact, side impact, and overhead airbags. The anti-lock brakes can sense when one of the tires has stopped rotating during extreme braking and will modulate the brake's pressure in order to allow the tire to continue rotating once more. This will increase the driver's ability to turn while braking. Seatbelt pretensioners will automatically tighten the seatbelts during a collision in order to place all occupants in the optimal seating position. In addition to protecting individuals, the security system keeps the car safe. 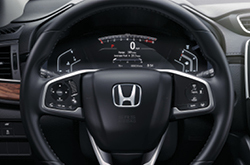 Each CR-V is equipped with an ignition disable device. This device prevents the engine from being started unless the original correct manufacturer key is being used. 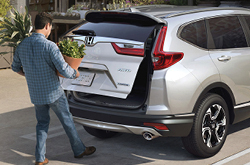 If you would like more information on the Honda CR-V, come into our Phoenix dealership and take a test drive.